The Delhi Police had filed a chargesheet on January 14 against Kanhaiya Kumar and others in a sedition case lodged in 2016. 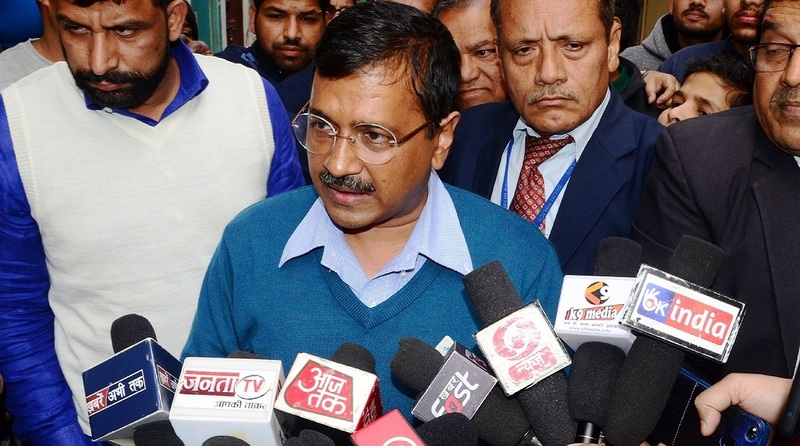 Delhi Chief Minister Arvind Kejriwal on Thursday said that his government is working on the file seeking clearance to prosecute former Jawaharlal Nehru University (JNU) student leader Kanhaiya Kumar and nine others in a 2016 sedition case. “The case is being studied by the government and it is a lengthy chargesheet. The police took three years to file it and filed it without permission ahead of the elections, so it raises many questions. It is important to study the chargesheet as per the law and the government will take any decisions accordingly,” Kejriwal said. A city court on Wednesday had slammed the Delhi government over the delay in granting required sanctions to prosecute Kanhaiya Kumar and others, saying it can’t sit on the file indefinitely. “Ask the authorities concerned to expedite the matter. They can’t sit on file for an indefinite period,” the court had said. The Delhi Police had filed a chargesheet on January 14 against Kanhaiya Kumar and others in a sedition case lodged in 2016. It also charged former JNU students Umar Khalid, Anirban Bhattacharya, and seven Kashmiri students for allegedly shouting anti-India slogans during an event at JNU on February 9, 2016. The court had earlier questioned Delhi Police for filing a chargesheet without procuring the sanctions. “Why did you file (the charge sheet) without approval?” the court had asked. Both Kumar and Khalid have questioned the filing of the chargesheet, saying it was “politically motivated” and a “diversionary ploy” by the Modi government ahead of the general elections.